As we work together to forge a brighter future for all Americans, we cannot ignore a history of mistreatment and destructive policies that have hurt tribal communities. 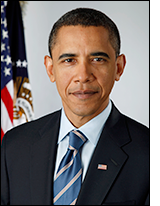 The United States seeks to continue restoring and healing relations with Native Americans and to strengthen its partnership with tribal governments, for our more recent history demonstrates that tribal self-determination -- the ability of tribal governments to determine how to build and sustain their own communities -- is necessary for successful and prospering communities. We further recognize that restoring tribal lands through appropriate means helps foster tribal self-determination... DOWNLOAD PDF. SACRAMENTO — The U.S. Supreme Court Monday sided with a North San Diego County Indian tribe that had challenged the state’s bid to exact money from casinos in return for permission to add slot machines. The court, without comment, declined to hear an appeal of an earlier 9th Circuit Court of Appeal ruling in 2008 that declared the assessment illegal. The decision is a big win for gaming tribes that had claimed former Gov. Arnold Schwarzenegger’s demands for money in return for gambling expansions amounted to an illegal tax. The Rincon Band of Luiseno Mission Indians led the court challenge...READ THE SAN DIEGO U-T NEWS ARTICLE. 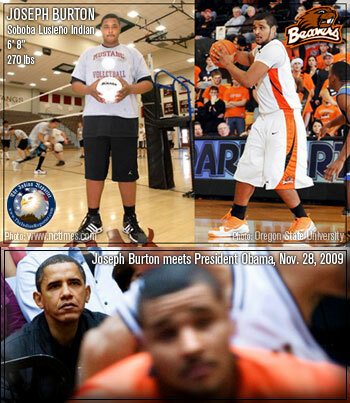 Soboba tribal member Joseph Burton played a college basketball game for President Barack Obama and the first family, and met them later at the White House. Joseph is a 2009 graduate of West Valley High School and won a full basketball scholarship with Oregon State University OSU — Joseph is the second Soboba tribal member to meet a sitting president. U.S. ARMY STAFF SARGENT Conrad Begaye, Navajo, receives the Silver Star in recognition for his leadership and valor during an enemy ambush Nov. 9, 2007, in Nuristan Province. 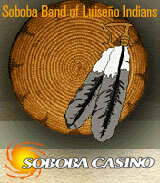 For daily news blogs of important top news stories that affect California Indian people. "Indian Country Today" is an award-winning multimedia publisher of news, information, and imagery relevant to the Indigenous people of the Americas. Their mission is to better the lives of Indigenous peoples by delivering accurate, relevant, and culturally-sensitive content. For a more complete rounding of information, our Editor has compiled an impressive list of Federal and State government resources, California state, world and local daily newspapers, tribal resources for Indian government Web sites, tribal blogs, Native American journalists, the largest media companies, and resources for public policies.